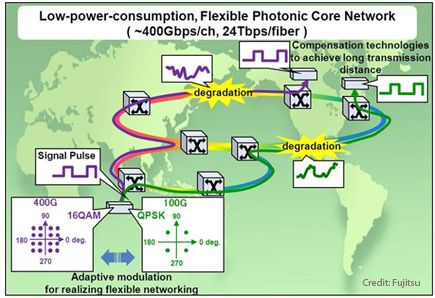 Fujitsu, NTT and NEC are jointly developing 400 Gbps/channel-class digital coherent optical transmissions technology. The companies have undertaken a joint R&D project that aims to leverage the technological capabilities that have enabled the commercialization of 100Gbps-class optical transmission. The R&D initiative was commissioned and is sponsored by Japan's Ministry of Internal Affairs and Communications (MIC) as part of the "Research and Development Project for the Ultra-high Speed and Green Photonic Networks". Specifically, Fujitsu, NTT and NEC have pursued R&D on 100Gbps-class digital coherent optical communications technology as part of the MIC's "Research and Development on High Speed Optical Transport System Technologies" program (2009) and "Research and Development on Ultra-high Speed Optical Edge Node Technologies" program (2010-2011). As a result of the previous research, a digital coherent DSP-LSI was commercialized in 2012 and is now being being deployed by each company. The new initiative will accelerate this work for 400Gbps-class optical transmissions. The joint research project is targeting dual-polarization quadrature phase shift keying (DP-QPSK)(3), which is currently in use for 100Gbps transmissions, together with dual-polarization 16 quadrature amplitude modulation (DP-16QAM), which takes advantage of an even greater number of quadrature carriers. The companies said that by incorporating these modulation techniques into a high-density 60-channel fiber, the technology will be able to bring about optical networks capable of 24 Tbps/fiber. The goal will require development of the first compensation technology for nonlinear optical effects within an optical fiber. This is the primary limiting factor standing in the way of long-distance transmission of multiple quadrature modulated signals. When employed together with enhanced-performance versions of existing compensation technologies for chromatic dispersion and polarization mode dispersion, the new technology will achieve longer transmission distances. 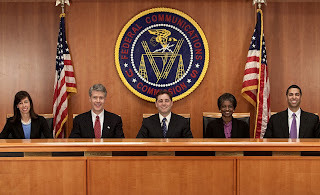 The FCC voted unanimously to approve an order that frees up 40 MHz of underutilized satellite spectrum for land-based mobile broadband, including 4G LTE. The decision removes regulatory barriers that limited this spectrum to satellite use. The FCC said its action balances technical requirements and will unlock value in both the AWS-4 band and the 10 MHz H Block. DISH issued a statement supporting the action. “The FCC has removed outdated regulations and granted terrestrial flexibility for most of the AWS-4 band. 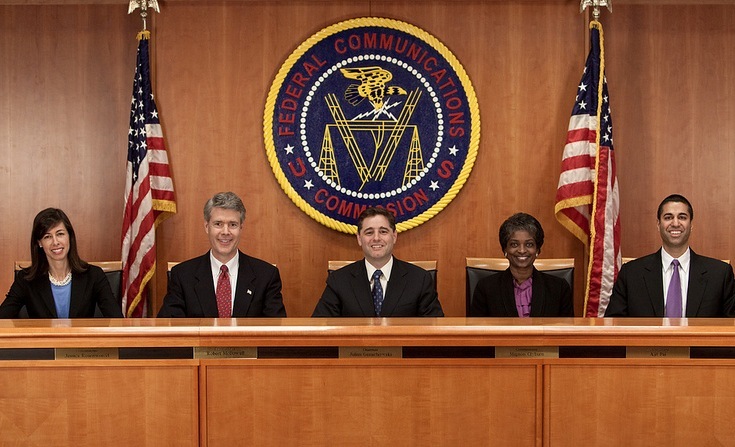 We appreciate the hard work and focus of the FCC and its staff throughout this process. The Commission has taken an important step toward facilitating wireless competition and innovation, and fulfilling the goals of the National Broadband Plan. Following a more thorough review of the order and its technical details, DISH will consider its strategic options and the optimal approach to put this spectrum to use for the benefit of consumers,” stated Jeff Blum, DISH senior vice president and deputy general counsel. Block in 2013. Proceeds from this auction will help fund a nationwide Public Safety Network for first responders and reduce the deficit. Berlin's ECIX, the second-largest German Internet exchange, has upgraded its fabric with Extreme Networks' BlackDiamond X8 switch and is now offering 40 GbE connections to its members. The European Commercial Internet Exchange (ECIX), with locations in Dusseldorf, Berlin and Hamburg, serves more than 120 carriers and Internet service providers. The BlackDiamond X8 switching systems will be implemented in all of its locations. ECIX currently operates 204 active physical ports, 52 of which are 10 gigabit ports. Its peak bandwidth is greater than 100 Gbps. At the moment 191 autonomous systems from carriers and internet service providers are connected. Extreme Networks BlackDiamond X8 switch can handles 20-Terabit non-blocking traffic with up to 768 ports for 10 GbE or 192 ports for 40 GbE in a 14.5 RU chassis or 1/3 rack. "Availability of the BlackDiamond X8 came for us at precisely the right time as we are upgrading our performance," said Stefan Wahl, CEO of Peering GmbH and Managing Director of ECIX. "For our members, price and availability are very important factors. With its high port density, extremely competitive price and the low energy consumption, the system offers comparatively reasonable costs per port which we can then pass on to our customers." In September, DE-CIX, the Internet exchange located in Frankfurt am Main (Germany), hit a new data throughput record last week as Internet traffic across its switching fabric exceeded the 2 Tbps (terabits per second) mark for the first time. 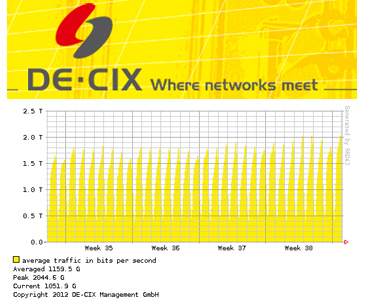 DE-CIX currently servers over 480 Internet service providers from over 50 countries. At DE-CIX, more than 12 petabytes of data are exchanged per day. 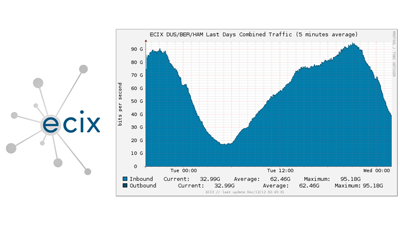 "Although the traffic peak of over 2 Tbps marks a new high,” says Harald A. Summa, CEO at DE-CIX Management GmbH, “we do not see an end to data traffic growth on the horizon. We assume that Internet traffic will continue to grow by about 80 per cent per year in the future”. At DE-CIX, HD-TV, video and multimedia content, online gaming and cloud computing are considered the main drivers behind the continuing increase in data traffic." Equipment deployed in the DE-CIX distributed fabric includes Force10 Networks' Terascale platform. Zayo has activated 100G wavelength services across major markets in the United States. The company confirmed that the 100G wavelength platform is already operational in some locations and will continue to be deployed during the rest of 2012 and into the first half of 2013. Its vendor has not been disclosed. By upgrading long-haul and metro market networks, Zayo can provide native 100G Wavelength connectivity to key traffic aggregation points and IP nodes throughout the U.S.
"Zayo is a focused bandwidth infrastructure provider and upgrading along key routes to 100G technology is the next step in providing customers with the latest high bandwidth technology," says Zach Nebergall of Zayo's wavelength product group. 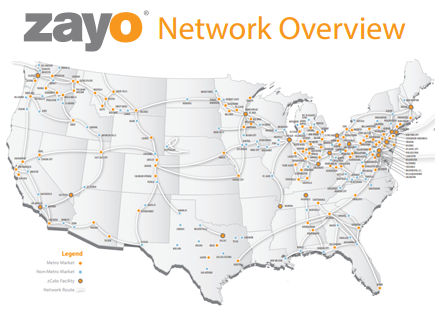 "Additionally, the Zayo national network provides unique route options which enable our customers to take advantage of fiber path diversity between these core traffic aggregation locations." 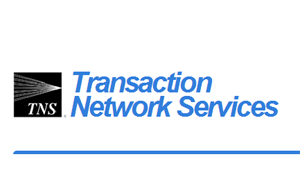 TNS (NYSE: TNS), which offers a range of networks and value-added services that enable transactions and the exchange of information in diverse industries, will be privatized by an investor group led by Siris Capital Group. The deal is valued at approximately $862 million, or $21.00 per share in cash, representing a premium of approximately 44% over the closing price on December 10, 2012 and 47% over TNS' volume weighted average share price during the last 30 days. Among its activities, operates the largest un-affiliated SS7 (Signaling System No. 7) networks in the United States. TNS also offers a suite of advanced signaling, intelligent database and nextgen services for telecom operators. "Our Board is confident that this transaction is in the best interests of our stockholders, customers and employees," said Stephen X. Graham, Chairman of the Special Committee of the TNS Board. "Engaging with Siris will help TNS work toward our goal of transitioning from a legacy network provider to building various value-added data communication applications." TNS is based in Reston, Virginia. Qualcomm Atheros introduced a high port-count Gigabit Ethernet switching chip that integrates wireless controller functions into the switch silicon for the first time. This enables the solution to process and forward both wired Ethernet 802.3 and Wi-Fi 802.11 packets simultaneously at wire speed. The new chipsets are designed for automated, end-to-end switch and access points with cloud management capabilities for small business networks. Qualcomm Atheros' new QCA871x series chip supports the Control and Provisioning of Wireless Access Points Protocol (CAPWAP), allowing remote access point control and management. It also eliminates the need for an external multi-core CPU commonly employed in traditional Wi-Fi Access Controller architectures, replacing it with an integrated, high-performance CPU, thus providing a competitive cost structure to address SMB requirements. Qualcomm Atheros' QCA871x/QCA851x switch series also offers rich managed Layer 2/Layer 3 (L2/L3) features in an easy to use solution with reduced complexity and cost structure relative to the traditional enterprise switch, thus bringing a high-performance, yet cost-effective solution to the SMB segment. Sampling is under way. The U.S. Department of Defense (DoD) will retrofit one of its data centers with direct-to-chip liquid-cooling technology from Asetek. The $2 million project will use Asetek's RackCDU (Rack Coolant Distribution Unit) technology, which is a hot water, direct-to-chip, data center liquid cooling system that removes heat from CPUs, GPUs, memory modules and other hot spots within servers. No power is used to chill the water. The direct-to-chip cooling loops replace existing air heat sinks, with tubes exiting through an unused PCIe slot in the server chassis. Johnson Controls Federal Systems is the installer and integrator for the project. 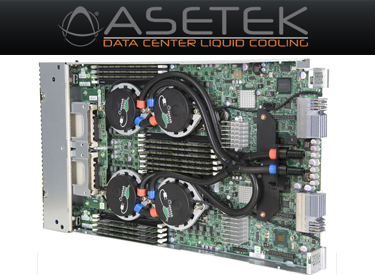 Asetek claims a more than 50% cooling cost savings. Asetek is headquartered in San Jose, California with offices in Denmark, China and Taiwan. The company was founded in 2000. Ericsson has been selected as prime integrator of Telefónica Digital's next-generation video platform. The multi-year, multi-country deal includes IPTV middleware, OTT back-office, Digital Rights Management Systems and Content Management Systems, Managed Services, as well as Ericsson Operations Support System (OSS) and Business Support System (BSS). Telefónica's own R&D is developing and launching the user experience interface for GVP. Financial terms were not disclosed. In November, Telefónica Digital announced the selection of Microsoft's Mediaroom for its new Global Video Platform (GVP) for all video entertainment services across Telefónica’s Operating Businesses. Telefónica's GVP is an IPTV-based pay-TV subscription service -- including DVR, video on-demand and and other applications -- that can be delivered either on the carrier's own access network or as an over-the-top offering. It supports a range of devices inside and outside the home, including set top boxes, Xbox 360s, tablets and smartphones. 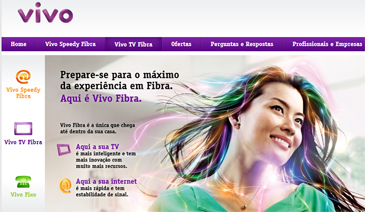 Launches are already underway in Brazil (Vivo TV Fibra), Chile (Movistar IPTV) and Spain (Movistar Imagenio on Xbox 360). The service is Spain provides subscribers with 12 linear channels focused on sports including the Spanish First Soccer League (Liga BBVA) under Canal+ Liga Channel. Go Daddy named Blake Irving as its new CEO, replacing Scott Wagner, who has been serving as interim CEO since July. Irving most recently served as Chief Product Officer at Yahoo! Previosly, he spent 15 years at Microsoft, serving in various senior roles, most recently as Corporate Vice President of the Windows Live Platform.